Mr. Gaylord is a mechanical engineer and is responsible for engineering design, fabrication, testing, analysis, flow visualization, reporting, and documentation which includes video and still images. Mr. Gaylord has been the lead engineer on many fluid dynamic projects at Flometrics, ranging from aerospace, medical, custom laboratory equipment, test fixtures and consumer products. He is Flometrics principle flow visualization engineer and has developed and refined different techniques used to visualize flow. 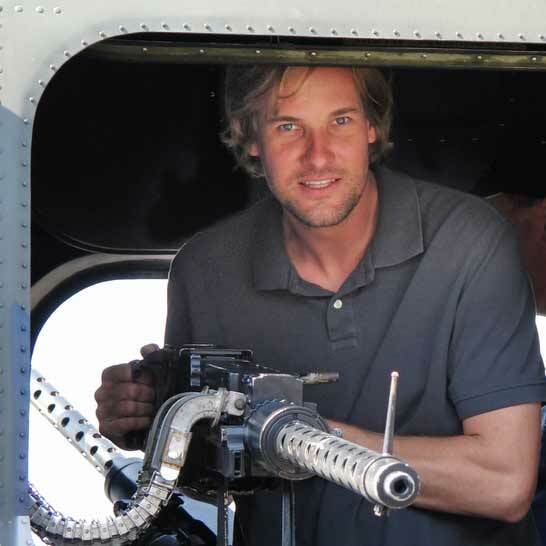 He has also been with Flometrics since the start of their rocket testing and development. His tasks have included design of rocket systems such as: test stands, airframes, structures, tube routing, valve integration and wiring. He is also a key participant in static & flight test logistics. Mr. Gaylord is also an accomplished fabricator, welder and our in-house expert in composite lay-up, silicon and urethane molding technology.